Hello. I’m Linda Brooks Davis. My eternal love is Jesus Christ. My life’s love is my husband Al whom I met in the best place on earth—church. My crowning achievement is mothering a remarkable son and daughter who are in veterinary practice together and love the Lord. My life’s joy is doting on six beautiful grandchildren. My fulfillment comes from writing fictitious stories set in the past and based in truth. Yarns about ordinary people who discover their voices and use their newfound gifts in extraordinary ways, such as Ella in The Calling of Ella McFarland. Mesmerized by my ancestors’ tales of overcoming hardship and heartbreak through grit and faith, I often imagine story lines based on their memories. I write inspirational historical fiction because I value tales of past generations whose lives testify to the hope and healing found outside themselves–in a loving God. As such, they can inform and inspire today’s generations. One such ancestor was my maternal grandmother, Ella Jane Pyle Banks Anderson Knox, in honor of whom Ella Jane McFarland is named. Mama never drove a car or voted. 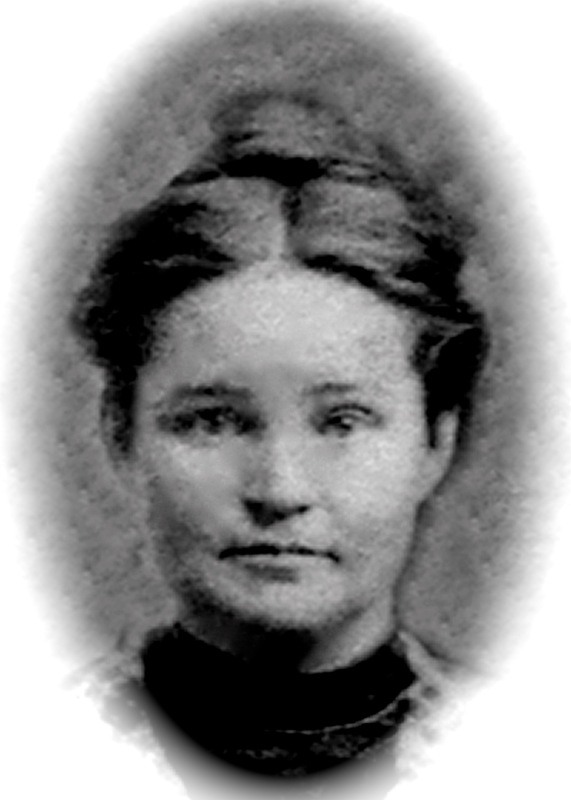 She was quiet and soft-spoken (and would have been embarrassed to see her name broadcast to the world), but she possessed a will of iron and a rock-solid faith that withstood the deaths of two husbands and five children. She experienced destitution few have known, yet she left a name worthy of a great-great-granddaughter–my own granddaughter Ella. 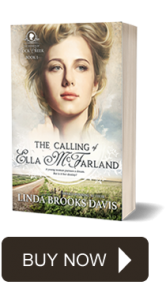 Ella, the heroine of The Calling of Ella McFarland, is far different from my grandmother in superficial ways but much like her fundamentally. The fictional character Ella McFarland emerged as I wondered what shape Mama’s world might have taken had the kaleidoscope of her life turned a hair’s breadth in one direction or the other. 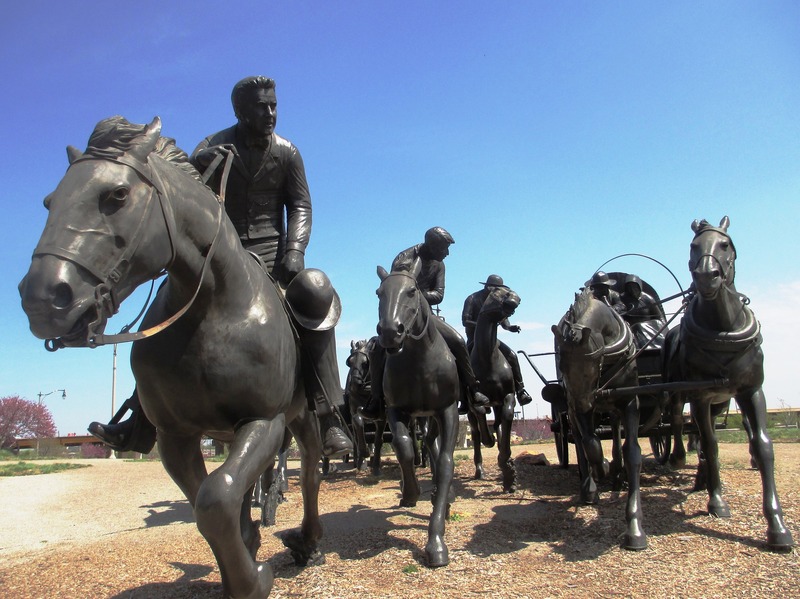 On the Blog you will find some historical tidbits about the time and setting for THE CALLING OF ELLA MCFARLAND in 1905 Indian Territory prior to Oklahoma statehood. I present my personal observations about people, places, events, and values that mattered in Turn-of-the-Twentieth-Century America, some of which have made their way into our present-day culture while others have fallen away, and why such observations matter to me. In Legacy Stories I introduce you to other of my ancestors–like Baron Christoph von Graffenried and Rebecca Boyd. Their tales will find their way into stories in the future. Our shared DNA hard-wires me to them. I can choose to treasure what my great-grandparents valued–love, faith, and devotion–or decide love is fickle, faith is outlandish, and devotion is pointless. And I can determine why my choices matter, as can you. I hope the openings to tales on this website and my books will reach beyond the ordinary to the extraordinary to inform and encourage in powerful ways. All families have stories. I devoted forty years to public school teaching and administration. As such, I encountered families of every description, each of whom had their own tales to tell. 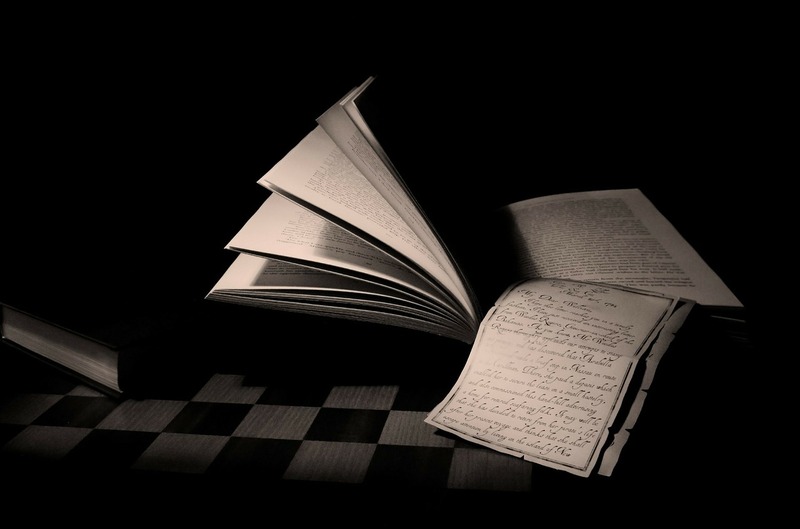 My family’s storytellers were my grandmother and mother. As our family grew, more anecdotes appeared. Each represents a legacy of faith, grit, and dignity. Each deserves to be remembered. I’d love to hear some of your family history. Who knows? Yours may show up in one of my stories. 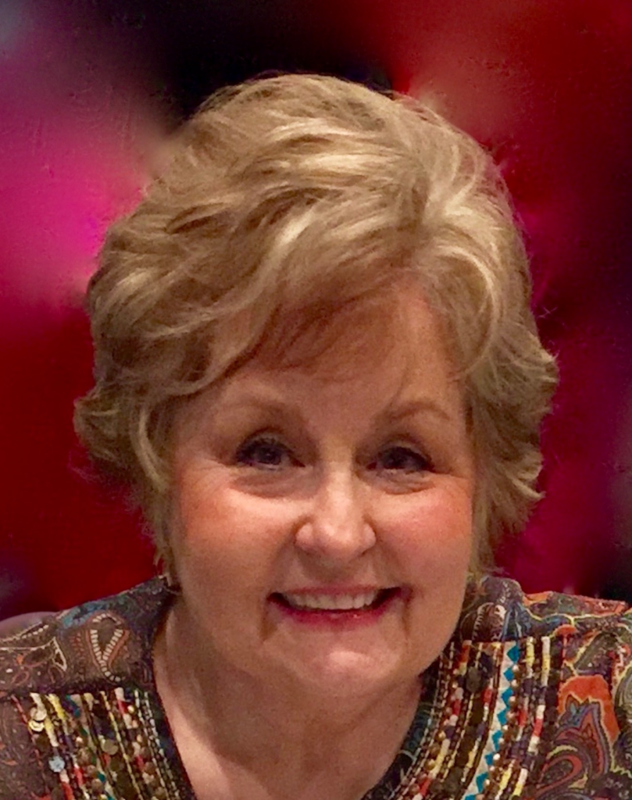 Contact Linda Brooks Davis! My first grandchild arrived in 2005--in triplicate form. At 2.5 pounds, even premature clothing dwarfed the three babies. 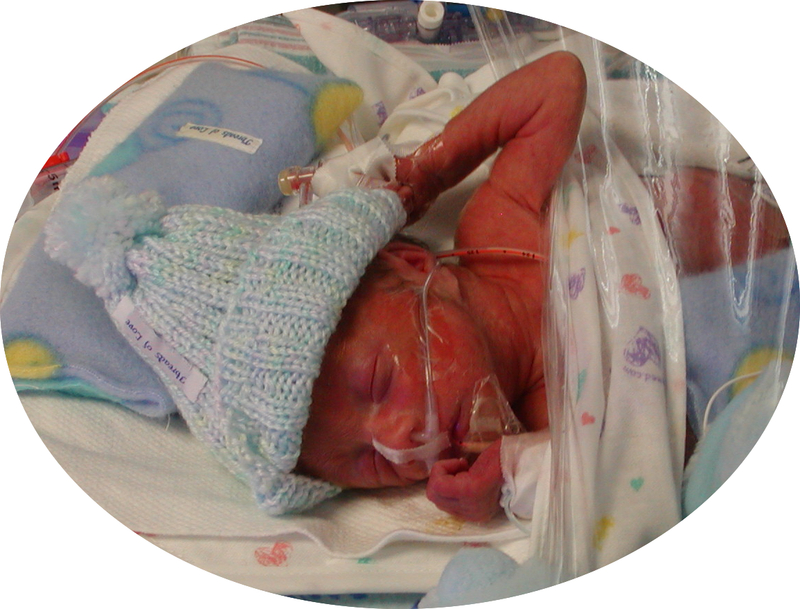 But a group of angels came to their bedsides: Threads of Love, a ministry to premature babies and their parents. The products of the Sarah Chapter of Threads of Love's labor of love wrapped my struggling granddaughter and two grandsons in the love of Jesus. My gratitude knows no limit. The Laura Bush Foundation for America’s Libraries provides funds to our Nation’s neediest schools so that they can extend, update, and diversify the book and print collections in their libraries with the goal of encouraging students to develop a love of reading and learning. The Laura W. Bush Institute for Women's Health improves the lives of women and girls.